Fanatics store isn’t just a store; they are loyal, passionate fans that are dedicated to favorite teams and sports people love. They offer fans the world’s most extensive collection of official sports apparel from all the leagues, teams and players. They have a wide selection of gear from every league including NFL, MLB, NBA, NHL, and others. This allows them to serve fans of football, baseball, hockey, basketball, soccer, lacrosse, golf, and other sports. They also bring more athletes to fans than any other website; you can check out their website for upcoming meet-and-greets with athletes and intimate fan experience. This company powers the Fanatics, Fansedge, Kitbag, and Majestic brands, while also offering the largest collection of sports collectibles and memorabilia through Fanatics Authentic. They help to create unforgettable memories, celebrate your pride and passion with your team by having sport merchandise available for you that will have you wearing your heart on your sleeve. As the global leader in licensed sports merchandise, fanatics store is changing the way fans purchase their favorite NFL team jerseys through an innovative, technology-infused approach. They offer the largest collection of timeless and timely merchandise whether online, in stores, on your phones, in stadiums or on-site at large sporting events. Their customers have a wide range of options to choose from to meet their needs and this store always satisfies them, and they manage to meet up. They have NFL jerseys available for NFL fans that would love to wear their team jerseys to show their allegiance to their favorite club. They also have NBA jerseys, MLB jerseys, NHL jerseys, soccer jerseys of teams within and outside the United States. Also available is the US Olympic team jersey, US hockey team jersey, and the Olympic T-shirt. You can also order for top league player jerseys like James Harden, Kevin Durant, Lebron James, Bryce Harper, Cristiano Ronaldo, Lionel Messi, Neymar, Nick Foles and lots more. The website consists of all their services and others which I might have skipped in this article, easy to use and navigate. You can track your order from them safely from their website and also check the details of your order such as; date of shipping, arrival date and route as well. You can also order for a specific size of the jersey if your size is not available. Go here to view their website and make an order. They operate more than 300 online and offline stores, including some e-commerce business for all major professional sports leagues. They are a licensed all sports merchandise seller and partner of all major sports leagues. Do you want to order any NFL team jersey right from the point of production?? Then fanatic store is your best bet as they provide the best service at affordable price, their NFL jerseys sell for as low as $40 upwards with a good customer record, reviews and rating. They ship within and outside the US with free shipping fee for orders of $1000 and above within the US, and they sometimes ship free with no ‘’minimum purchase’’ option during their promo periods. Orders outside the US attracts a special shipping fee which depends on the volume of your order; all orders are treated and attended to equally. 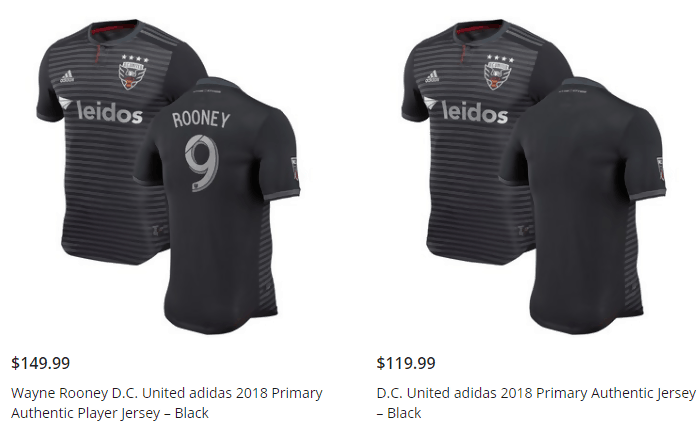 They have a volume sale discount which is given to orders that are over $1000 or 50+ which makes it a good idea to order for a complete team wear from their store whenever the need arises. Returns must be within 365days of the shipping date, items returned after 365days return policy will not be accepted and a refund will not be credited to your account. Returns must be in original condition, unworn/unused with original tags and labels. Your return item(s) will be inspected upon arrival before your refund is processed. It can take up to 10 business days for your return to be received and processed. Once processed, your refund can take up to 2-7 business days to reflect on your account statement. You will receive a confirmation email once this is completed. 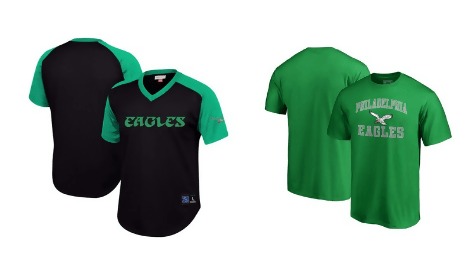 Please note that Manufacturer Direct Items such as a customized jersey which is made upon request from a fan with all details and requirements provided have a different return policy, for more information, please visit their website. This store is one of the best if not the best when it comes to ordering NFL jerseys online and in-store, offer a vast variety of options for their customers and speaking from experience, their service is topnotch. Please, do not hesitate to place an order with them, you will surely enjoy the service. Click here to see more NFL Jersey stores review.